With two days left before the Second Crossover deadline, the House on Tuesday, April 9, 2019, passed an additional 85 Senate bills. These bills now head back to the Senate for their consideration. If the Senate does not agree to amendments made by the House, the bills will be negotiated in conference committees. To date, 236 bills have crossed over from the House to the Senate. SB1422 HD2 Specifies that police officers have the discretion to issue citations, in lieu of making a lawful arrest without warrant, for nonviolent class C felonies, misdemeanors, petty misdemeanors, and violations, subject to certain findings by the officer. 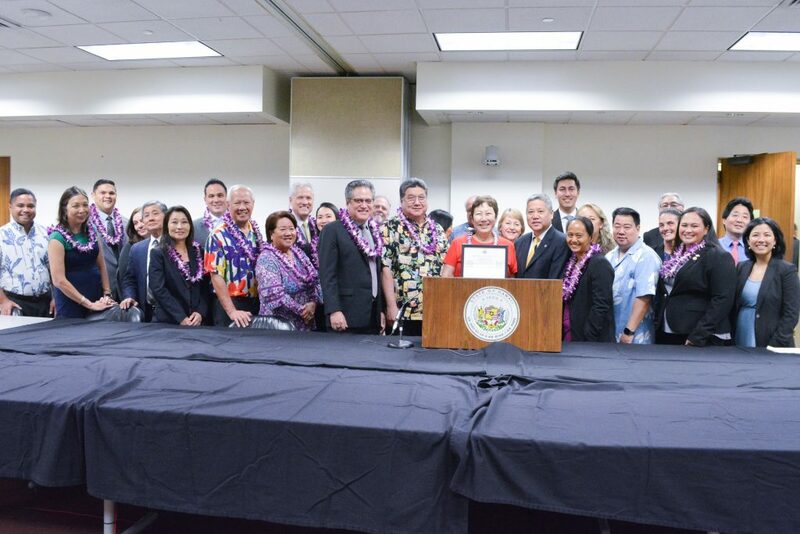 SB316 SD2 HD2 Appropriates funds to the University of Hawaii for additional funding for the Hawaii Community College Promise Program. Requires a report to the Legislature. SB50 SD2 HD1 Appropriates funds to the University of Hawaii for the Hawaii Nutrition Employment and Training Program to include materials and supplies and the hiring of seven full-time equivalent instructional and student support positions. SB427 SD2 HD1 Establishes ranked choice voting for special federal elections and special elections of vacant county council seats. SB412 SD2 HD1 Makes an application for voter registration, including an affidavit, part of all driver’s license and identification card applications. Automatically registers each applicant who elects to register for voting unless the applicant affirmatively declines to be registered to vote. Requires sharing of information among the counties, DOT, and election personnel. SB216 SD2 HD1 Requires a mandatory recount of election votes and ballot measures when the margin of victory for election contests or tabulation for ballot measures is equal to or less than one hundred or one-half of one per cent of the votes cast, whichever is greater. 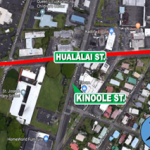 SB 1091 SD2 HD2 Makes an emergency appropriation of $7 million to the Department of Transportation to mitigate landslide damages and install rockfall protection structures on the Pali Highway and Honoapiilani Highway. SB1466 SD2 HD2 establishes a process by which a law enforcement officer, family or household member, medical professional, educator, or colleague may obtain a court order to prevent a person from accessing firearms and ammunition when the person poses a danger of causing bodily injury to oneself or another. SB366 SD2 HD2 Appropriates funds to the Executive Office on Aging to fund the existing position of Alzheimer’s Disease and Related Dementia Services Coordinator. SB187 SD2 HD1 Establishes additional district court judgeships in the First Circuit and in the Second Circuit. SB789 SD2 HD2 Increases the minimum wage rates by $1 per hour annually from January 1, 2020, to January 1, 2024. Provides lower minimum wage rates for employees who receive employer-sponsored health benefits under the Hawaii Prepaid Health Care Act. SB1041 SD2 HD2 Prohibits written nondisclosure agreements involving sexual assault and sexual harassment as part of an employee’s conditions of employment. Prohibits employers from retaliating against an employee for disclosing or discussing sexual harassment or sexual assault. 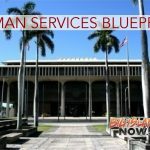 SB1292 SD2 HD3 Requires hosting platforms that collect fees for booking services to register as tax collection agents and collect GET and TAT for transient accommodation bookings from operators and plan managers. Converts penalties for violation of TAT requirements from misdemeanor to civil fines. Specifies that “transient accommodations” includes accommodations subject to county regulations as such. To see all Senate bills that the House has amended and returned to the Senate go online.